The Risk Factory - What do we do? The Risk Factory is an interactive safety centre. We manufacture everyday risks in a safe environment and aim to teach people how to deal with or avoid risks altogether. 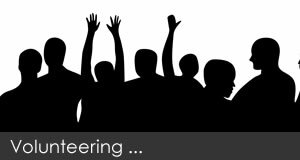 Our aim is to provide high quality, interactive community safety education, which will help to develop pro-active citizenship. The centre is part funded by three local authorities: City of Edinburgh Council, East Lothian and Midlothian councils. Through this funding all Primary 7 children (and P6 if composite class) from these local authorities have a place at the centre. We also have a number of sponsors and partners that support the centre. In 2018/19 we are very grateful for the generous support of SP Energy Networks, the Scottish Environment Protection Agency (SEPA), Electrical Safety First and the Gas Safe Charity. Primary 7 children from across Edinburgh, the Lothians and beyond are welcome to visit. Cub scouts; Brownies and Guides to work towards a variety of badges. Adults with additional needs who are moving towards greater independence and independent living. If you are a member of another group or organisation who would like to visit the centre please get in contact with us to discuss your needs and a possible visit. The centre has a number of meeting rooms available. We can cater for meetings, conferences and our scenario area provides a unique setting for training. All the profits from our room hires go directly into supporting our education programmes. 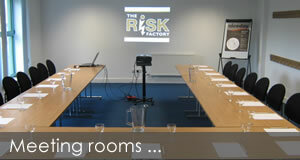 By booking a room at The Risk Factory you are helping to make a difference to your community.